So last week was a little bit of a light week because of the travel. I had plans to get in extra workouts on more frequent days, however things just got over my head. I just was super busy with everything going on at work because I missed a few days. So I took a few days off to relax and just work right through my lunch hour rather than going to the gym or for a run, even though I had my gym clothes with me all the time. So here is the workouts I accomplished last week. Monday: 5.5 mile walk - walking the Freedom Trail and back with a little bit of additional wandering in Boston. Fridays run was at the gym. I played with the speed the entire time that I was running. I needed to keep doing that just to keep myself distracted the entire time. 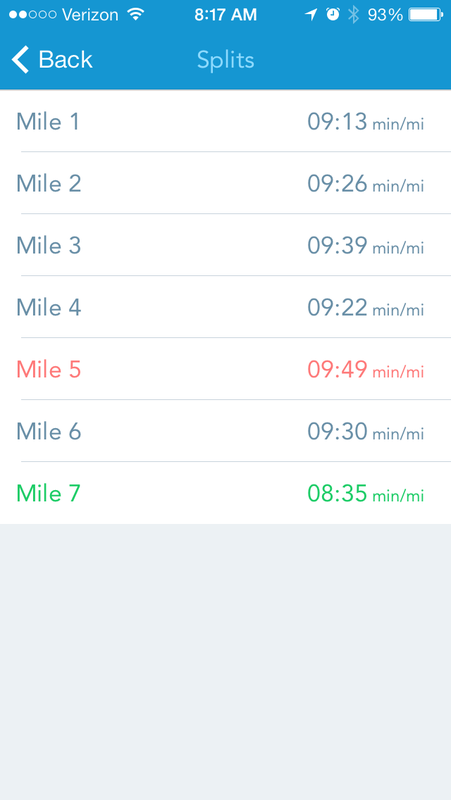 It ended up being a decently speedy run. I was pretty pleased with that pace overall, so I need to be proud of myself for getting through a tough run at a rough-ish pace. And I squared away four miles running which was a happy thing. Mile 5 was directly into the wind. I seriously thought I might fall down. I also considered quitting the run right then. I am so glad Karen was with me. If she wasn't, I definitely would have stopped running.